Thank you to all our readers who voted to help create this list of your favorites! Enjoy and explore a new play area with your kids this winter. 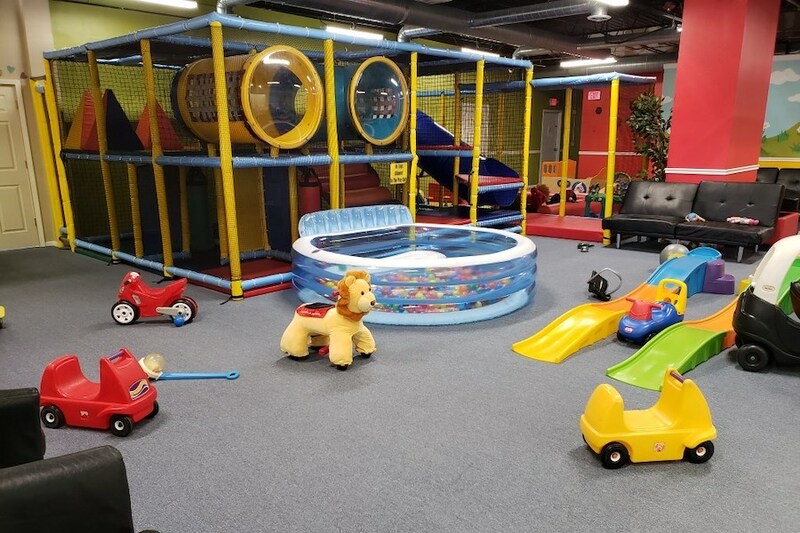 If you would like even more indoor play places to choose from, check out our guides for Indoor Play Areas in the Western Suburbs and Indoor Play Areas in the Southwest Suburbs, which include all of the locations, contact information, pricing, and more. Drumroll, please! 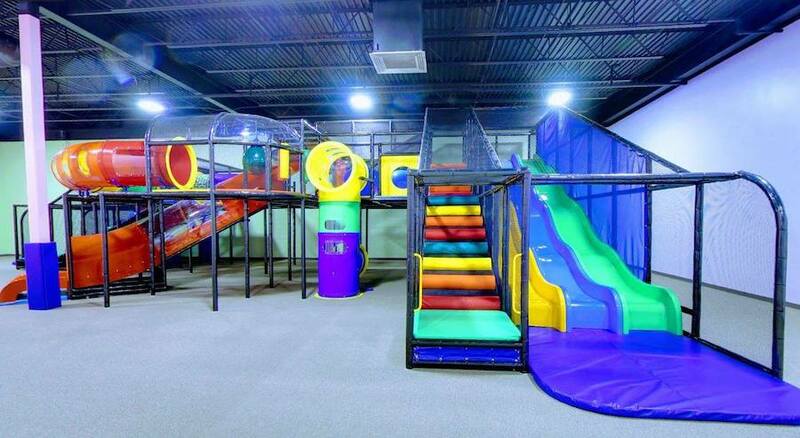 The top-rated indoor play space in Chicago’s suburbs is . . .
KidStreet has a bunch of different play areas for various ages, from a three-level PlayHouse play structure to the WonderHouse room (with a door!) for babies and toddlers under 2. It’s based within Trinity Church’s Green Trails location, so it feels much cozier than some of the big play facilities . . . though it’s plenty big! Parents will appreciate the Grounds for Hope Cafe, with coffee and food, right across the lobby (you can pack a lunch or bring your coffee in, too). There are places for parents to sit and chat in every room, too. You’ll find KidStreet inside Trinity Church’s Green Trails location. Look for the Trinity sign off of Maple. Photo courtesy of the Ball Factory Facebook page. Kids can clamber over obstacles in the four-level play structure, then slip down the giant slides and run to the ball blaster arena, build a creation out of giant foam shapes, or hop on pedal tractors to get some work done. Ball Factory is big, with a ton of things to do! There’s also a gated area for younger kids with padded mats and soft play shapes. You can grab coffee, a snack, or a meal from the cafe (outside food is not allowed). Ball Factory also has free Wi-Fi and comfy couches where grown-ups can relax. 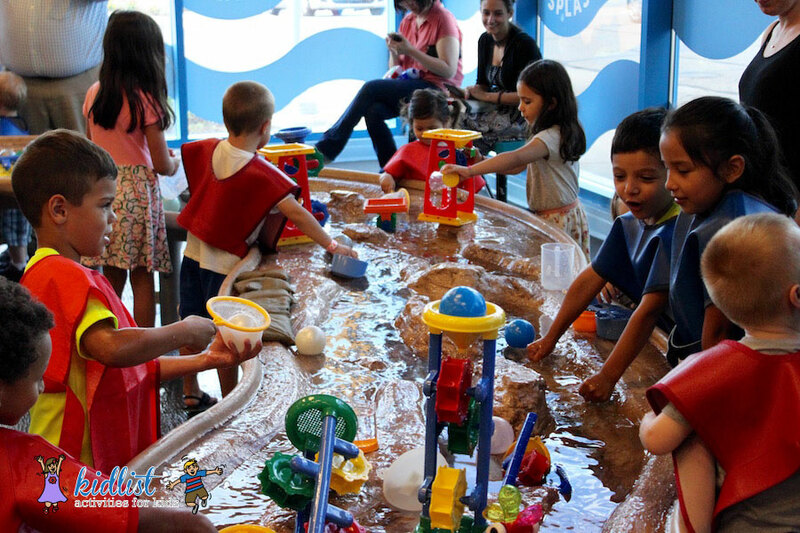 DuPage Children’s Museum has 17,000 square feet of interactive exhibits, creative play spaces, and curiosity-sparking activities. It’s got great repeat visit value because it’s pretty impossible to really explore the whole thing in one go! Plus, traveling exhibits often stop by to mix things up; check out Claudia’s review of Daniel Tiger’s Neighborhood: A Grr-ific Exhibit, which will be at the museum until May 12, 2019. The basement level is home to Bean Sprouts Cafe, a healthy, kid-focused spot with adorable meals your kids would Instagram if four-year-olds had Instagram. It’s allergy-friendly, which I especially appreciate since my oldest has nut allergies. As a mom of an infant, I also love the museum’s multiple baby/toddler play areas on each floor, as well as the private nursing rooms. There’s a wide range of activities for all ages, including older grade-school kids, such as building with real tools, playing with water and air, and standing in your own giant bubble (which, honestly, never gets old). $12/person (including adults), kids under 1 are free, $10 for seniors. Memberships available. Photo courtesy of the Kids Town Facebook page. They also have a new location in Stratford Square Mall in Bloomingdale. 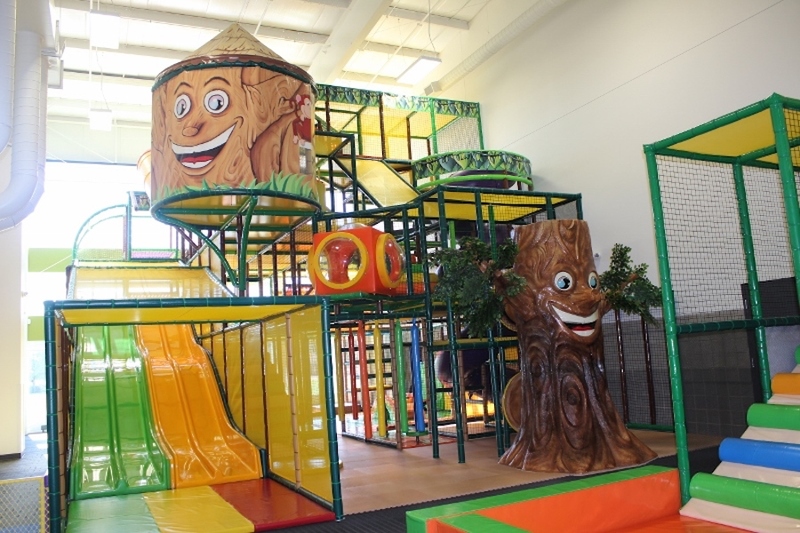 Kids Town has a variety of play spaces dedicated to imaginative play. It’s especially good for preschool and younger kids, who can play with the toys in each of the themed rooms, hop on the ride-on toys, or climb through the smaller play structure. Unlimited or hourly daily play time can be purchased. Naperville Yard is a great place for kids to get some energy out through active play. 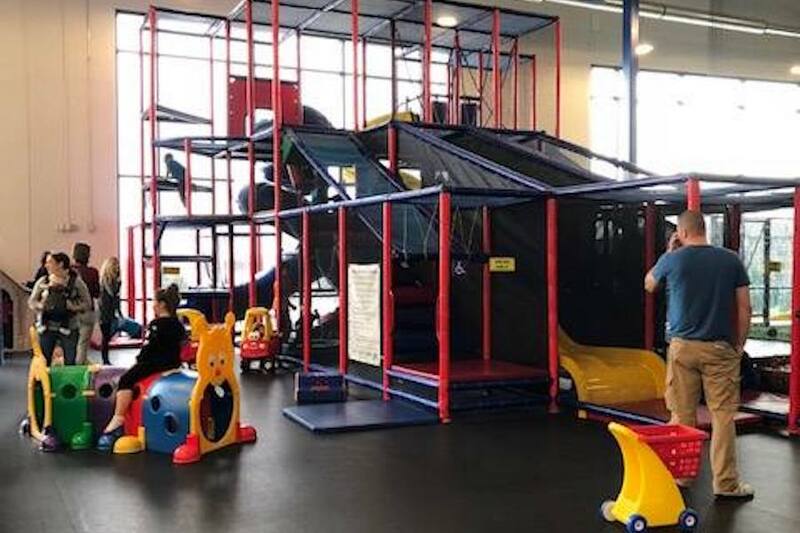 They’ve got a giant Playtower, inflatables to jump on, and indoor fields where kids can play, as well as toys to keep younger siblings entertained. Honorable Mention: Westmont Yard Playroom was a very close runner up, so we wanted to give them a shout out, too! They have a very similar setup. Too cold or rainy for the park? 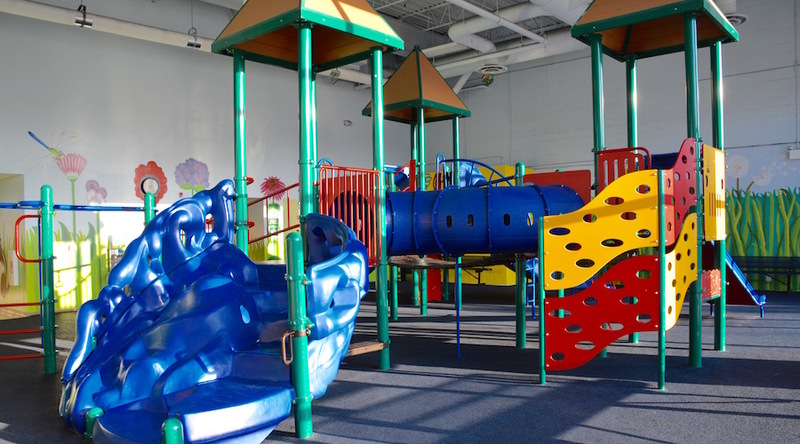 Head to La Grange Park District’s indoor playground and enjoy the playground experience indoors. Also check the website for Toddler Playtime Gym hours, when one court is set up with ride-on toys, tunnels and more for a small additional fee. 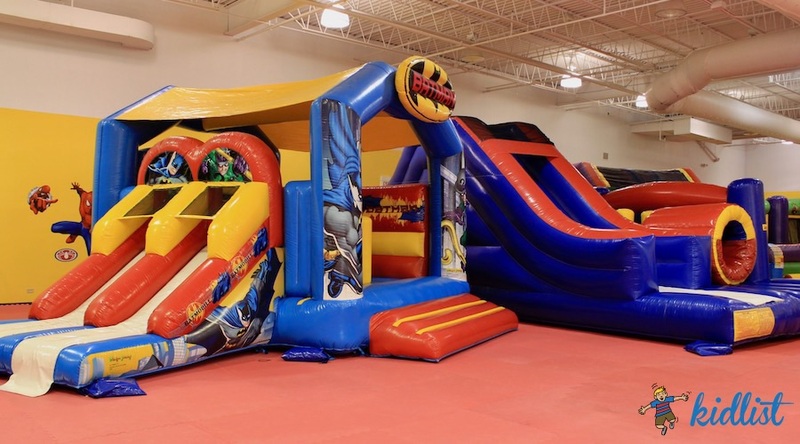 Bounce around is huge (20,000 square feet!) with tons of padded play areas, inflatables, climbing structures, rides, arcade games, and prizes. There’s a full-service restaurant on site, too. The star of the show here is the multi-level play structure that kids can climb up, slide down, and explore. There’s also a toddler playground, an arts and crafts area, and other activities. In addition to open play activities, The Treehouse also offers supervised play for parents working out in the ARC or who want to head out and take a break; see details on their website. Kids can swing, climb, slide, and bounce through a variety of obstacle courses and play structures. 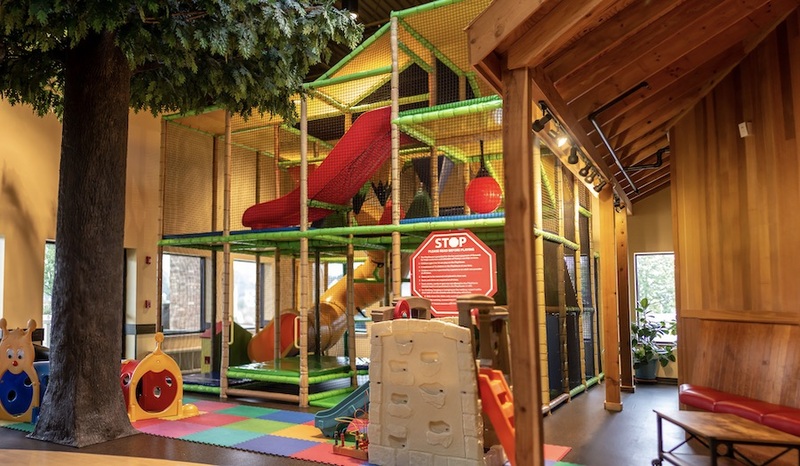 Imaginative play areas include a fire station where kids can dress up and wind up a fire hose, as well as a grocery store where kids can shop for play food or man the register. The huge facility has a separate baby area, arcade with prizes, cafe, parent area with Wi-Fi, and more. Everything is bright and colorful! 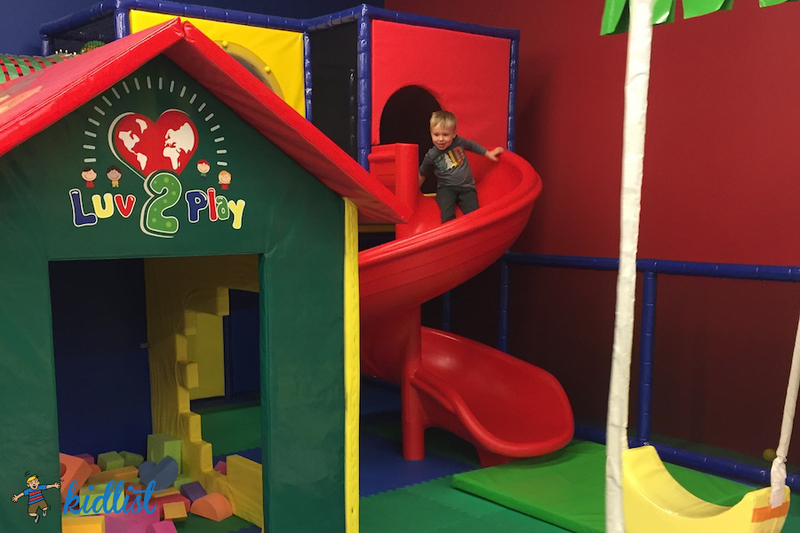 Bumblebee Cafe has two large play spaces: one for kids 5+ (with a jump pad, giant slides, basketball court, and more) and a gated area for smaller kids (with shorter slides, padded equipment, ride on toys, and more). Pretend playhouses include a grocery store, restaurant, and fire station. There’s also a special corner for infants with bouncers, saucers, and soft toys. A big congratulations to all of these top-voted play spaces! If you check a new spot out, let us know what you thought in the comments. Be the first to comment on "The Votes Are In: 10 BEST Indoor Playgrounds and Play Spaces"